Almost two years and a month after his most recent fight, former world champion Julio César Chávez Jr. hinted at his return to the ring on June 22 on Mexican soil, although his return to the ring is not yet confirmed. Visiting Metepec, State of Mexico, where he accompanied his father Julio César Chávez, Junior commented that he plans to do two or three bouts in 2019 and to get out looking good, and he would like to go fight in various areas. His return, if materialized, would be in the super middleweight division without confirmed any potential opponents, although he manages to name Mike Lee as a possibility at some point. 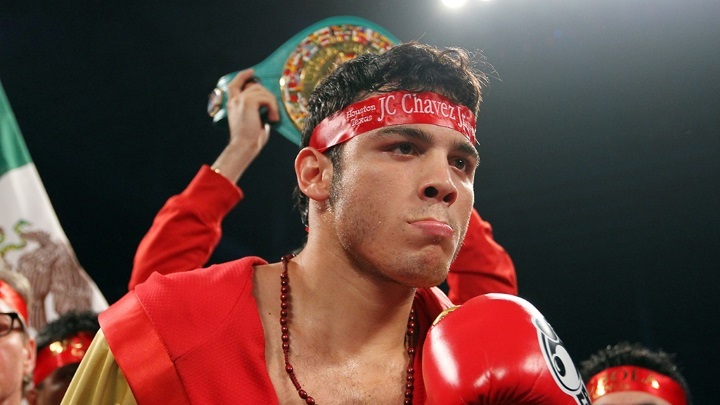 The last time Chavez Jr. was in the ring was back in May of 2017, when he lost a one-sided twelve round decision to Saul "Canelo" Alvarez at the T-Mobile Arena in Las Vegas. The contest took place at a catch-weight of 164.5, with Chavez Jr. looking very depleted in the fight from making weight. "I'm going to fight on June 22, I think in Mexico, I do not know if in Merida, Yucatan, I do not know yet who I'm going to fight. It seems like he's going to be an American, maybe Mike Lee, a semi-complete fighter, he's undefeated, a good opponent, a good fighter who was once talked about for a possible fight with Andre Ward," said Chávez Jr. who expressed interest in campaigning at the super middleweight division. "Obviously I will not fight in something big or have a championship fight. I just came back, but I'm training well, doing hard work in the gym. The inactivity is not something I'm worried about, because I'm still young and I'm not beaten up." He stunk out the joint harder than any joint has ever been stunk out before in the Canelo fight. The only business he has near a boxing ring is serving drinks to the spectators.